It is often witnessed throughout time that the personalities of geniuses are rather difficult to understand, and often misunderstood. Certainly, there are several reasons as to why such can be the case, but I’d like to think it’s because if they were just “normal” then maybe they wouldn’t be the geniuses they turned out to be. 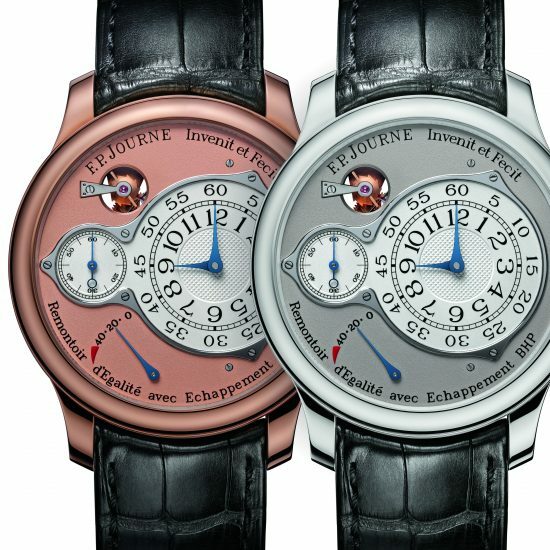 François-Paul Journe is not so different than those that surpassed him. I have come across his fair share of stories whether told by him, by others of him, or some I’ve even witnessed to share myself, that would leave the listener in a total state of confusion and shock. 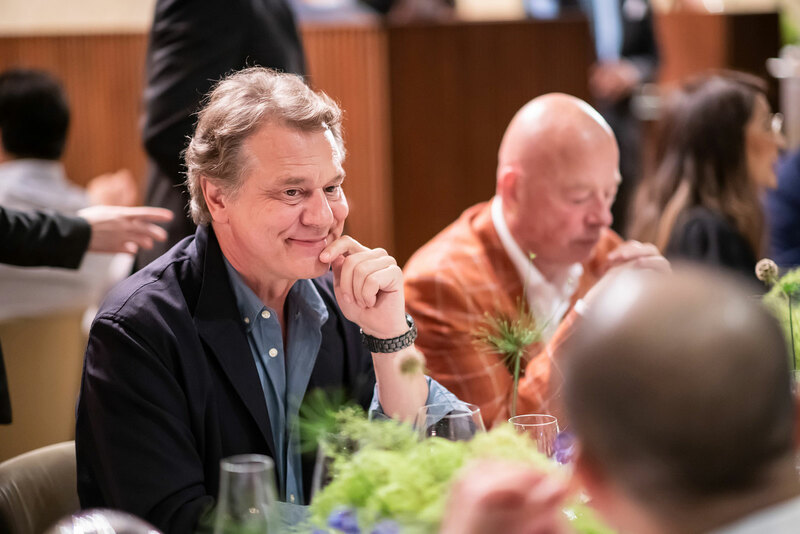 However, I’ve also noticed that Mr. Journe is a man of many layers and in the watch world that he lives and works in, one would be lucky to see anything past the surface. Of course, there are those who have worked alongside the man for years but still have little to no knowledge of what the man is all about, and yet there are others who occasionally pick up more about this man’s personality than others will ever notice. Then, there is Mr. Gino Cukrowicz who has developed a reputation of being the cause of an “indestructible force” when paired alongside François-Paul Journe. To refer to Gino as simply a close friend would be a huge understatement, for if you were to ask me, I don’t think anyone knows Journe better than him. Mr. Cukrowicz is a Belgian retailer and co-owner of Ginotti Jewelers in Antwerp, Belgium. 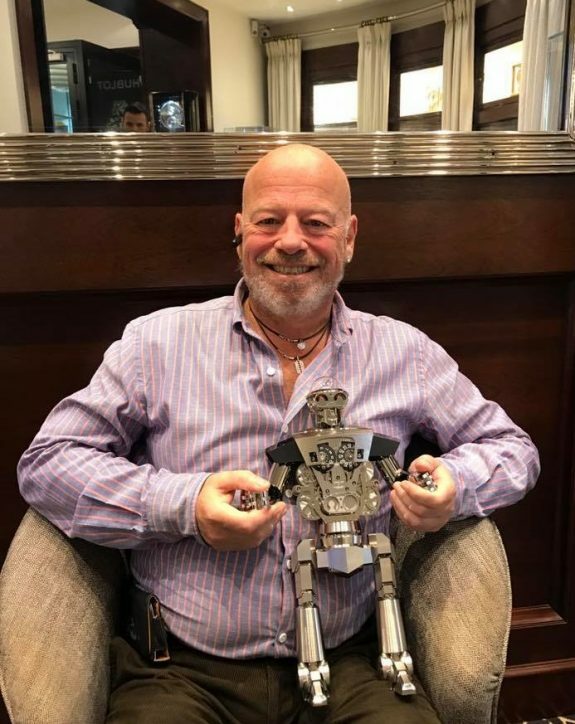 An industry veteran; the man has a wealth of knowledge and experience in the field and has a strong array of contacts within the watch world. Of course, above all that, he is also a partner and shareholder of Montres Journe SA. A man of unique character, direct attitude, and a humorous manner; he’s one of the backbones of the brand who helped with its expansion throughout the years. 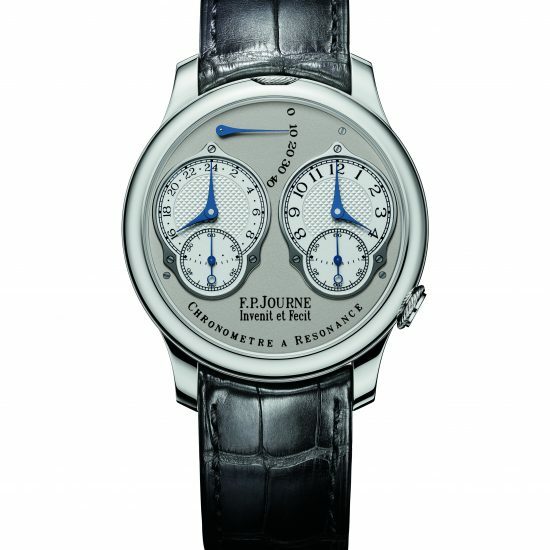 By François-Paul Journe, he is not only a friend/partner but one of the miracles of the brand itself. *Interview condensed and edited for clarity. TJG: Let’s start off with how you first got into watches? GC: I was quite young when I got passionate about watches and I think I got it through my mother. At that time my father would travel a lot to Geneva and every time he came back he brought a watch back for my mother & a funny watch for me; nothing expensive but you know those fun watches with patterns and writings, multicolored things. With the time, I picked up the passion. Afterwards, I got the chance to work at his office and meet his customers and co-workers who were all watch-lovers. From time-to-time, they would ask me to find them a watch and it was a challenge to find certain models for certain prices but a kick nevertheless. I like the objects and they’re not like diamonds, which are pretty much a pure barbarian business. 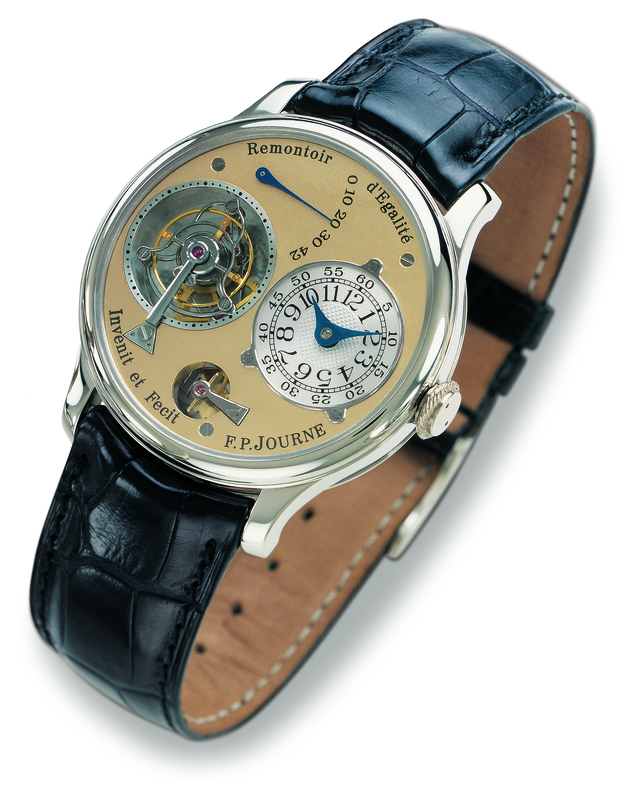 TJG: When was the first time you met François-Paul Journe? GC: I think it was like 26 or 27 years ago. 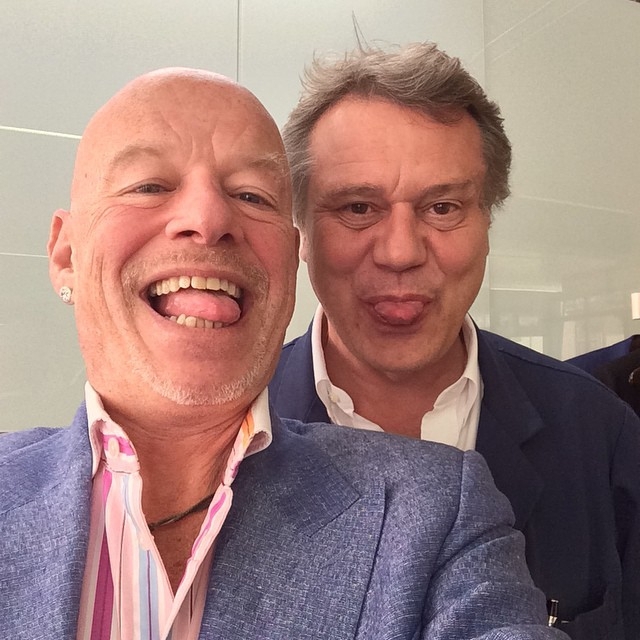 I used to go the whole week to the Basel fair and I was very good friends with Daniel Roth at that time. Daniel was organizing dinners every night with some friends; 6, 8, 10, 12 people, most of which were in the industry. 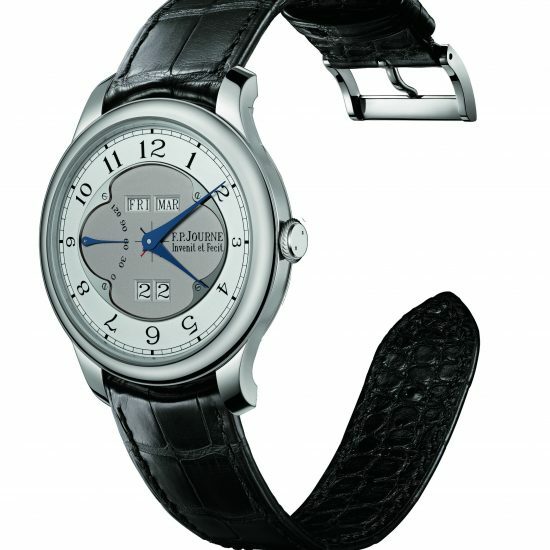 On the first evening I happened to sit down across François-Paul and I looked at his wristwatch, the first one he made. So I looked at it and he explained it to me and then I wanted to buy it. He told me that it wasn’t for sale but we had a good contact; you could say we “clicked” as two human beings and every night we had dinner sitting across each other; and every year we were always happy to see each other at the Basel fair. TJG: The brand started in 1999, when did you begin having business discussions together? I found it interesting but he was thinking of when would be the proper time to launch so I told him to make one watch and display it with the academy, and we’ll see how it goes. That’s what we did, in 1999 he put up one watch, the Tourbillon, in a display. We stood like 20 meters from the display so we weren’t even next to the display and I could see a whole bunch of people turning around the watch and most of them were distributors. In 2000, we started our first Basel fair. TJG: So you weren’t a business in 1999? 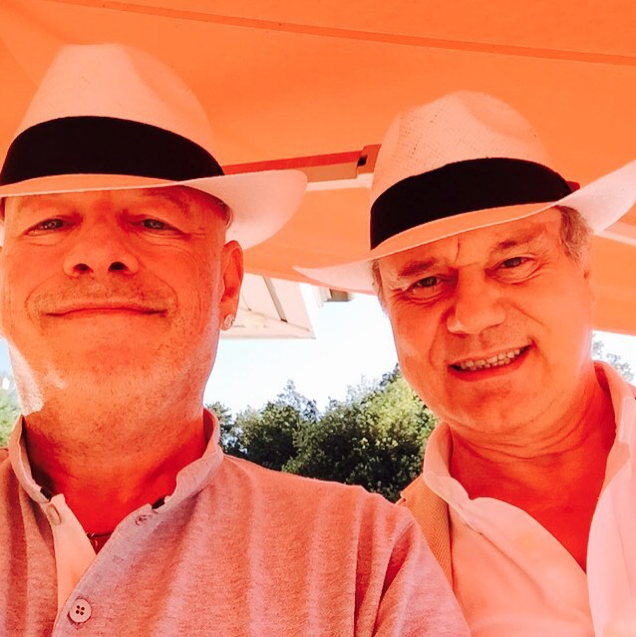 GC: Yes, we were and we were partners, myself and Philip. So in 2000, we started the first Basel fair and we had only three watches to show. 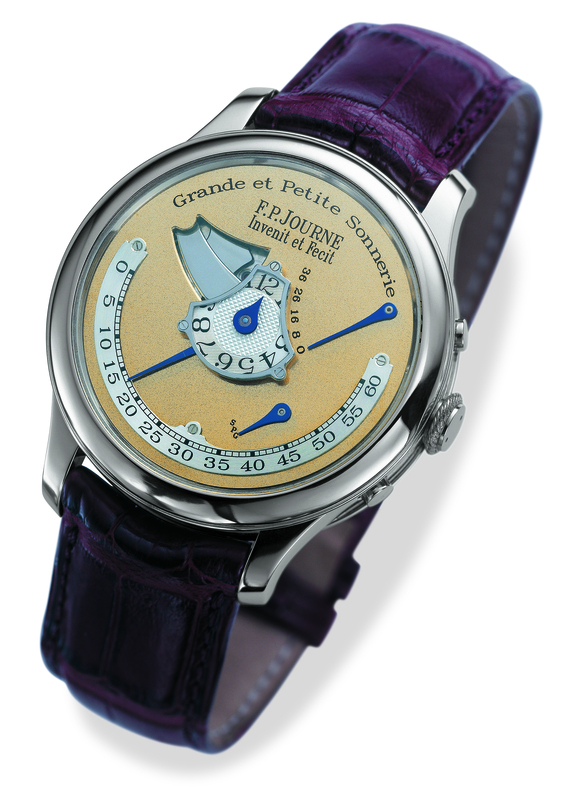 One was the Grande Sonnerie, one was the Resonance, and the third was the Tourbillon. The Resonance was sold immediately so we ended up with two models. Since I had been in the business already I knew a lot of retailers and at a certain level, everyone knows each other and everybody is selling the same brands, so the contact was quite easy. So after one week you could imagine we sold all the 100 tourbillons and when we went to see other brands I asked how many tourbillons they did and it was 10, 12, 15, maybe even 20. We were at 100! Nobody believed us and that’s how it started. TJG: So now that you were three partners how did you manage the finances at start? GC: The logic was that first of all, every dime that we made was put back into the company and none of the partners have ever acted like shareholders, or to say that we never ask for dividends and yearly pays. The man thought we were owned by Richemont but that wasn’t the case. FP had previously worked for Cartier and made movements for them, then add to that the first 20 souscription tourbillons for his friends. That’s how it started and we kept injecting everything back into the company. When we started, we had a little office not far from the manufacture, and then we slowly expanded to this one. We grew slowly until we bought this whole building, and then we could establish a goal for annual outputs. Next, after some time he wanted his own case makers, so he bought them. After that he had shares at the dial maker and he had to raise capital until he bought out one of the other shareholders; the rest of the shareholders got fed up so those were easier to deal with later. Everyone was happy in the end and now we own them 100%. TJG: I further understand that all decisions made have to be agreed upon together, by the three partners. How does that work for all of you? GC: Yes, it was an agreement we did from day 1, that no matter what shares you have, everything is decided by the three of us. It’s the only way for it to work. If someone says blue and we like orange, we can’t simply agree with him because he has the most shares. In fact, it was his idea that everything had to be unanimously agreed upon. That’s how we remain happy and he never took advantage of his shares. TJG: Have you ever had any arguments or disputes? GC: No because if you get to know him a little then you see he comes up with an idea. He also likes smart people around him. To criticize him is quite easy, but you need good reasons to do so. He asked me why, which means he was open to listen. I told him my reasons and he didn’t answer me until the next day. He never answers you immediately actually. In the morning he sits in his bath for two hours and he is thinking. That next morning, he agreed with me. You see, he is not stubborn but he wants good arguments and not stupidity. TJG: How would you describe your relationship with him? GC: First of all, we are very good friends and we trust each other. I never had a real dispute with him, but normally we argue and differ in thoughts. We are honest and open with each other. All the three partners are different in character and have their own skills, but together we make a good team. 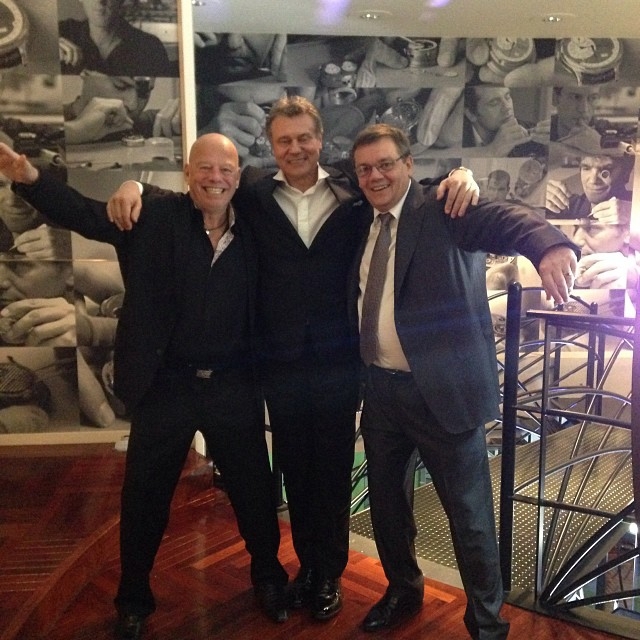 The three partners at the 10th anniversary of the Tokyo Boutique. TJG: What made you invest in this company? What made you want to put your money into the works of this man? For me, I saw him working. I have no clue what he is doing cause I’m not a watchmaker but it’s fun to see him drawing. It’s also the way that he makes his watches. First thing is the watch itself, unlike other brands. The other brands just follow formulas, to put the crown here and power reserve there and so on. François-Paul is a perfectionist and when he makes something, he thinks of everything with reason. TJG: What is your dream for the brand? GC: Well, I think he has already been recognized as being an amazing watchmaker by the whole industry, regardless if people like him or not. Just imagine the painting that’s in his room now; a dinner with two of the biggest watchmakers to have ever lived; that is an honor and not everyone can sit at that table. It makes a difference and for him, his dream came out. The man built his own tourbillon at 18 because he couldn’t afford to buy one. What is my dream? It isn’t a dream but an honor to participate in that adventure which is amazing. I can share thousands of stories that we had traveling and most of them people won’t believe. We don’t have secretaries to book our trips and until now we make our own bookings and we look for the cheapest and yet appropriate flights. We don’t just book what we want. We are normal. If you want to talk to him, go talk to him. His success didn’t fill his head and even though he is sometimes surrounded by rich and powerful people, it doesn’t matter. We all have dinner and have fun and nobody talks about money. It’s normal and fun. Such a fascinating interview. Thanks for sharing it! I must say that this company is a kind of miracle. But at the center is fun.